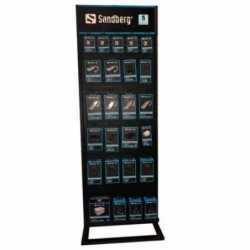 Foursided rotatable shop counter display for Sandberg products. Solidly constructed in metal pegboard on a strong base. 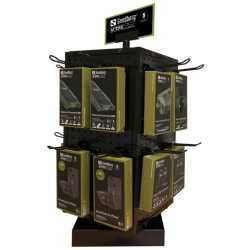 Includes 25 hooks and changeable top signs for Sandberg Home & Office, Sandberg Active and Sandberg EsportsEquipment. 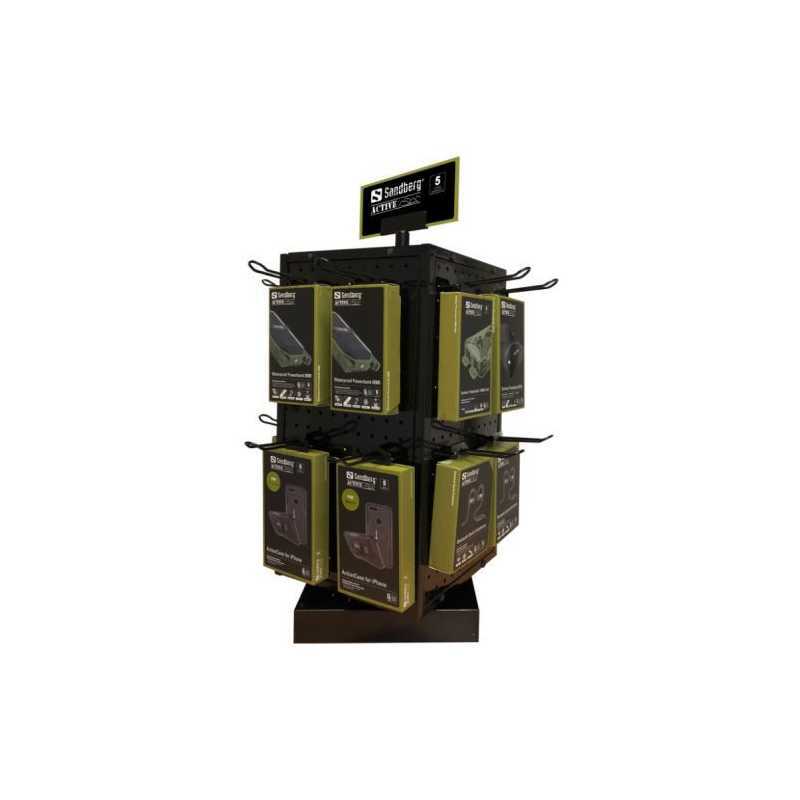 This display is a perfect space-saving way to present Sandberg products in your shop, and to have customers making impulse buys.